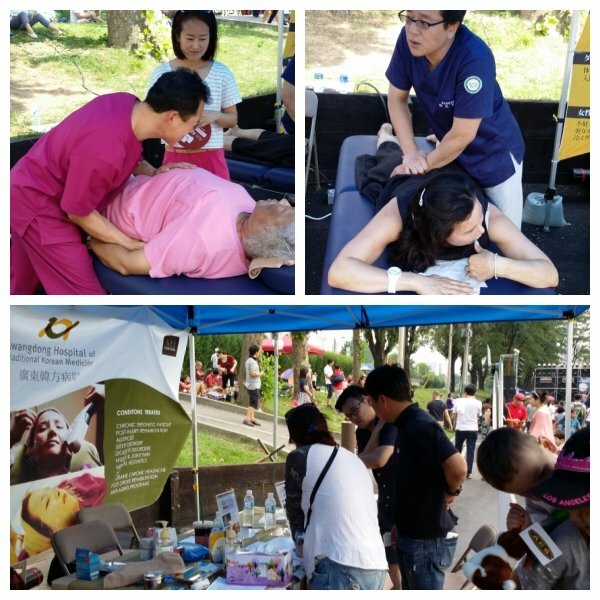 Kwangdong hospital participated US Independance day on July 4th 2015 at Yong Sang Base. We facilitated Dr.'s consultaion regarding pain managment and apply chuna therapy for release pain. Most of the patients has been suffered chronic back pain, neck pain and shoudler pain and they do line up to get the treatment and consultation. Most of patients want to visit our hospital for non-surgical treatment. We also had a fun with roullette game by providing the air-refreshener, vitamin Drink, Mask Pack to the winner. Hope to see them next year again.